PARIS: When I tell friends in the US about France’s literary talk shows, they’re often green with envy. And it’s a nice bragging point, the importance the French place on literature and criticism. But when I ask my French friends which shows they watch, most of them draw a blank. They can cite the names of the hosts, or admit to having caught an episode or two, but no one I know regularly watches them. Where, then, does this place the great French emphasis on literature? Have things gone downhill since the golden age of Bernard Pivot and his legendary Apostrophes? Is the French literary talk show more something people aspire to watch as opposed to actually doing so? Or was even the era of Apostrophes a mirage in our midst? I lived in Paris during part of that show’s run, and while the occasional scandal made for dinner party conversation, and bookstores devoted tables to the authors invited on that week’s episode, Parisians liked to point out that it was a show that everyone claimed to watch but that no one actually did. Since Pivot’s heyday, the format of literary talk shows has splintered in two directions, becoming either broader or more specialized. Few of the long format shows focus solely on books, and those that do cover fiction, non-fiction, poetry, plays, and journalistic reportage and essays. On the micro end of the scale are daily, interstitial-like segments: Dans quel étagère (on what bookshelf), hosted by Monique Atlan, and 1 Livre, 1 Jour (1 book, 1 day), hosted by Olivier Barrot. The former consists of an under two-minute author interview against a stark white backdrop with a restless camera. Atlan quotes a passage or asks a question, then invites the author to discuss an aspect of his/her work: the book’s inspiration or a particular character. Barrot’s show, clocking in at under three minutes, comprises a brief conversation with the author, or if the author isn’t available, he reads a passage from the book and does a short biographical sketch. The long format shows attempt to emulate variety shows, with musical guests and background biographical films interspersed with the actual book discussion. Sometimes they include artists and intellectuals (opera singers, philosophers, etc. ), folding literary discussions into broader conversations about cultural issues. While the French will probably never develop a gift for the sound-bite, a bon mot is always appreciated, and chopping the segments into accessible chunks seems to be a common strategy for keeping the pace sprightly. Few of the long format shows are purely literary, but François Busnel’s La Grande Librairie is an exception. Hosted by the youngish editor of Lire, a literary magazine, Busnel is a thoughtful, genial man who seems too cool for school until he gets excited about a book, and then he can’t contain his enthusiasm. A studio audience sits in the shadows around a backdrop of rainbow-colored piles of oversized novels surrounding four to five guests. The show is driven by Busnel’s delight in literature, and he’s careful to guide his guests away from embarking on lengthy, tangential monologues, a very real pitfall when interviewing French intellectuals. Every once in a while, there is actual interaction between the guests, but for the most part, they take turns discussing their books. A useful biographical film, a sort of two-minute Cliff’s Notes, is often shown about an author before the conversation, in case you’ve never heard of him/her. Recent guests included Gilbert Sinoué, whose book, Le Souffle du Jasmin, retraces the problem of Muslim extremists; Jean-Christophe Rufin, a diplomat, whose novel, Katiba, is about a terrorist attack; Françoise Hamel, whose historical novel, Les Forains du Roi, recounts a tale of a family of actors and acrobats at the court of Louis XIV; and Tristan Garcia, a young writer whose second novel, Mémoires de la Jungle, is “the interior monologue of a gifted monkey,” according to Le Monde. The show concludes with a brief segment on a local bookstore, in this case, the Librairie des Abbesses in Montmartre. Much depends on the charm and conversational gifts of the writers, but in general, this is one of the most watchable shows. The affable Michel Field hosts Au Field de la Nuit late on Monday nights. Fifty-something author and former teacher Field has been a radio and television host for over 12 years. The show’s format is similar to Busnel’s, with a studio audience composed of students from a different high school each time, one or two of whom are invited to ask questions or make comments during a short Q&A session. The recent show I saw had the following guests: Raphaëlle Bacqué, for Le Dernier Mot de Mitterand, a journalist’s account of the life of François de Grossouvre, a Mitterand intimate who committed suicide; Jean-Christophe Rufin (again), discussing his novel, Katiba; Ariane Daguin, who, in D’Artagnan à New York, tells about establishing her foie gras business in New York; and Yasmine Ghata, whose novel, Muettes, is about a mother and daughter stuck in mourning. While all of the conversations were engaging, Ghata’s was particularly moving, especially when she talked about writing as a means of staying connected with dearly departed family members. It was an intriguing moment, seeing a writer evoke loss in an articulate, moving fashion, an indication that genuine emotion was actually welcome in this format and not something to be avoided. Filmed in the impressive library of the Luxembourg Palace, Jean-Pierre Elkabbach hosts La Bibliothèque Médicis on the Public Senate channel, a kind of C-SPAN. As the guests gather on either side of a long, polished wood table, the venerable Elkabbach, a distinguished journalist (and former network head), leads six or so intellectuals through an hour-long conversation about current issues. Again, here I found a fearlessness, even enthusiasm, for discussing emotional and psychological issues. One author, who wrote a nonfiction account of losing a beloved spouse, got teary and her voice quavered. Instead of changing the subject, Elkabbach, looking moved himself, remarked on it, but as a moment of grace, not something to be cut away from. Turning to philosophical issues, a writer/philosopher bemoaned the fact that we had entered “the era of the ordinary man.” At one point, various musical instruments were heard, as the guest, the curator of instruments from the Musée Branly spoke. Every so often, the camera cut away to cartoonist Uderzo, who drew one of his most famous creations, Astérix. Des Mots de Minuit on France 2 is hosted by Philippe Lefait, whose owlish gaze is softened by rimless rectangular glasses worn precariously low on his nose. One of the shows that draws guests from a wider range of disciplines, recent guests included an opera singer, a writer, an actor/director, and a comic book artist. The host encourages his guests to comment on each other’s work, trying to generate a more inclusive conversation, but it’s not always successful. Each guest was given approximately 20-25 minutes to discuss his or her work. 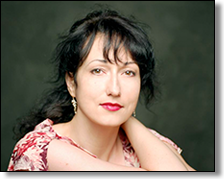 Béatrice Uria Monzon, the mezzo soprano, spoke of listening to jazz and escaping into books. The writer, Lionel Duroy, spoke about turning to opera for solace before discussing his novelized autobiography. Lefait also asks each guest to bring in a meaningful object: the opera singer brought in a running shoe because she likes to run on tour; Marcial di Fonzo Bo, the Argentinian actor/director, brought in a Kalashnikov-shaped guitar and discussed his musical about Rosa Luxembourg, Rosa la Rouge. In a musical interlude, a beautiful woman with dreadlocks named Naif sang a clever pop song, “Dramatic,” in a thick accent. Also on hand was comic book artist Christophe Blain, one of the new wave artists known as la nouvelle bande dessinée. The length of the interviews is engaging because it forces the viewer beyond the snap judgment: guests have time to develop ideas beyond a basic sketch or first impression and to further clarify if necessary. As a result, the awkward speaker has time to explain, even becomes touching. Conversely, the monologist is in dangerous territory, as monopolizing the conversation in anything but a highly articulate and entertaining manner makes the viewer reach for the remote. Another interesting contrast to American shows is that instead of having someone “set up a clip” (from a film, play, or opera), the clip is shown and then the artist is asked: what does that clip mean to you, what emotions does it elicit? These aren’t questions a guest can necessarily prepare for, which makes for unpredictable results. Another late night show is Vous Aurez le Dernier Mot, also on France 2. The leonine Franz-Olivier Giesbert, journalist and author of several novels, presides over this show, whose purpose is to debate a specific issue. One recent show’s subject was: “Should France fight for its model of statehood?” A studio audience sat around the show’s guests: Frédéric Martel, whose book, Mainstream, discusses “soft power” and the cultural influence of the world’s greater economic powers; Flore Vasseur (Comment J’ai liquidé le siècle); Axel Kahn (Un type bien ne fait pas ça); Philippe Cohen (Le Vampire du milieu), who weighed in about the ominous future China will impose upon France and the world; and philosopher André Comte Sponville, who noted that while the French model of statehood is indeed excellent, increasingly France lacks the means to pay for it. The program, which bills itself as “pluriculturel,” also included an interview with fashion designer Jean-Charles de Castelbajac and a musical performance by Jeanne Cherhal. True to its title, “you will have the last word,” at the end of the program, a studio audience member was invited to stand up and make a comment. Perhaps the most bohemian of the group, Daniel Picouly, the author of over 25 books, including the Prix-Renaudot winning L’enfant Léopard, hosts Café Picouly. Mixing it up a bit, his show takes place in a café, and an opening sequence, written on a chalkboard, announces which guests are “on the menu.” Unfortunately, the background noise of café clientele is irritating, and a heavy dose of musical interstitials seems to be trying too hard to break up the show into easily digested segments. Otherwise, Picouly keeps the pace energetic. One recent program invited the two authors of Johnny, les 100 jours où tout a basculé, a book about Johnny Hallyday’s financial and health woes, to respond to a criticism of their work in a segment called “Ping pong.” It’s not an unusual occurrence: recent guest Francis Huster, a well-known theater actor, was asked to respond to a scathing review of one of his earlier plays (he disarmingly admitted that in this case, the critic was right, and that it was important to recognize an insightful review, even a highly critical one). This seemed to me a particularly French quality: the acknowledgment that criticism was a worthy part of the conversation, not the end of it, and not something meted out by unkind critics. Other segments included an interview with actor, Charles Berling, currently on stage, a talk with Charly Sistovaris, one of Charlie Chaplin’s grandsons, and Arsen, a comedian who stood up on the bar and did a five minute routine to the café crowd, who quieted down to listen. Here’s the question, after some very dedicated viewing: is anyone watching? Are these shows making money? Clearly, ratings aren’t a big concern, given that most of the shows are on either late at night, sporadically, or at odd hours. But maybe their very existence makes the most French of points: literature, and by extension and association, philosophy, journalism, and the arts, are important and are to be maintained, period. The challenge would seem to be how to turn them into destination programs, the kind you look forward to or at least Tivo, versus the kind you’ll watch for a few minutes if you catch if while channel-surfing. I’ll admit I often found my patience tried while watching the long programs, but I have to wonder how much of that is about how my TV viewing has been trained by our infotainment culture, as opposed to the content of the shows themselves. Concentration is required, because unlike the immediacy of the news or the carefully curated dialogue of dramas and comedies, the guests aren’t scripted, their ideas are often complex, and their speeches not always pithy or witty. In retrospect, I feel more fondly about my experience of watching them than I did while actually watching them, which may speak to the notion that having knowledge may be more agreeable than acquiring it. In the end, however, I came away with a sense of earnest, dogged humanity: these are shows by and for people who care about books and ideas and the people who write them. In the competitive world of television, broadcasting those shows seems like a brave, strong commitment to supporting France’s cultural values. DISCUSS: France’s Lit Chat Shows: Noble or Quixotic?